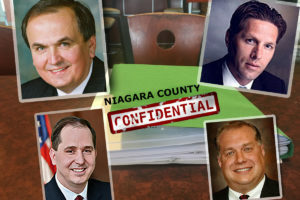 For those residents praying Jeffrey Glatz isn’t through participating in the governance of the City of North Tonawanda, a ray of light presented itself this week. 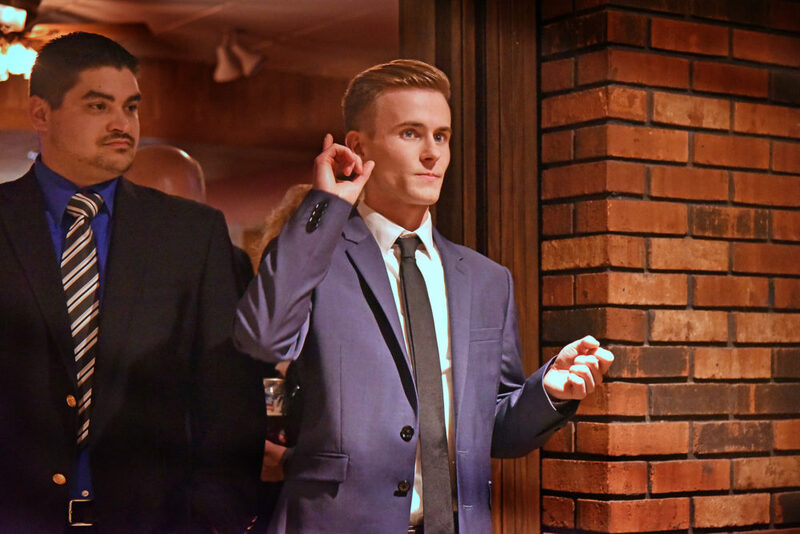 After failing to beat 25-year-old recent college graduate Austin Tylec (above on election night), Glatz will lose his vote come January when his appointed term runs out and Tylec takes his place on the dais. But there’s hope for the veteran administrator and former school-board president. Unfortunately, Mayor Arthur Pappas’ administrative assistant Peter Drossos lost his position for that break in the clouds to appear. “He is no longer with us,” said Mayor Arthur Pappas, who recently won re-election with a strong victory over pastor and realtor Jim McGinnis. When will the position be filled? Or might it be eliminated for budget savings like Niagara Falls did last week? “No. Because it has not been advertised,” Pappas said. With a campaign budget five times greater than Tylec’s, the County Republicans obviously wanted the former county manager Glatz inserted into City Hall. I sure hope that once the position is advertised, that it appeals to many residents of North Tonawanda. If it turns out that Mr. Glatz is the best qualified, than I would wish him luck. I thought a professional Journalist would not speculate specifically on ludicrous Democratic rumors. Why would a retired County Executive, a retired Air Force Officer take a full time job as the Mayor’s Assistant. Have you read the job description in the City Charter? If you’re going to print something at least make it plausible. Mr. VanDewater with all due respect don’t be simplistic and blind to the Republican regime that runs city hall. The purpose of bringing Glatz back would be to undermine the guy who beat him, Austin Tylec, and would be a SLAP IN THE TAXPAYERS FACE to give this guy a job that the voters wanted OUT! The regime will do their typical half baked advertising and no matter who is qualified, put one of their political stooges like Glatz in. If not him, maybe the regime will put another Wojtaszek or Maziarz, family member or friend in city hall. If the political puppet Pappas had any guts, he would eliminate the position to save some tax dollars!